In its simplest this is a mod that allows you to transmit your redstone state wirelessly. Even if you don't use Redstone this mod could still be for you. Found an awesome landscape you'd like to mark, a cool cave to explore, or keep losing your way from base to base? Ever wished that compass pointed somewhere else or there was a way to mark things on a map. Well now there is. With this mod you can use wireless signals for navigation. The signals are synchronised in a dimension called the Redstone Ether or REther. This dimension has no physical form and purely stores signals. 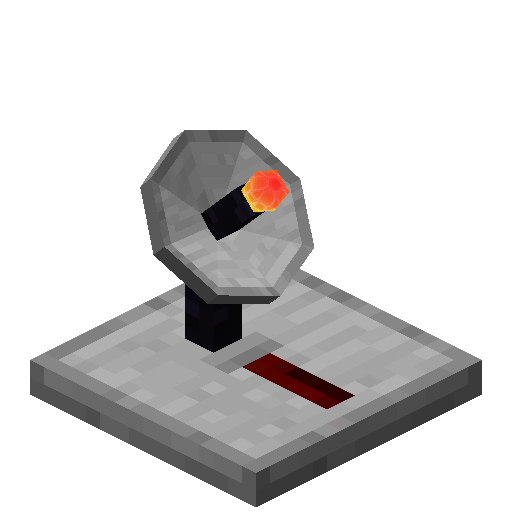 It can be accessed by combining the Interdimensional properties of Obsidian, Glowstone and EnderPearls from the OverWorld, Nether and Ender with redstone to enter the RedstoneEther. There are 5000 different frequencies storing independent state, name and colour. Due to the dimensional nature of the REther signals sent in the nether will translate into the OverWorld and vice versa. -All 3 modules have been merged in to 1 mod id. -Icossahedron's on top of parts in inventory are now animated. -I thought there was more..
-WirelessMaps to show transmission locations whilst inside an item frame.